Also, for a car of this caliber and price, I would expect the auto stop/start to be more seamless. It’s not, more like unsettling like I mentioned above. It feels like the car has actually stalled and the delay on start up is enough that it made me nervous while waiting to turn left. I would expect this to be smoother and to have a much shorter delay. A delay that is extended when Eco Pro mode is active. Speaking of Eco mode, it was actually drivable this way. Sure it felt like I was driving in a foot of really thick mud, but not so much that a little bit more throttle didn’t overcome it, which defeats the purpose of this mode. Treated like a overdrive on the interstate would probably be the best way to use this. I know there is a chance that we will be getting auto start/stop in the MINI with the F56. Make sure to test drive that feature before you buy. Personally, I never got used to it and don’t think it will be able to keep up. The last thing I want is to be stuck in the middle of an intersection waiting to turn left and having that feature leave me hanging out there well into the red light. I will say that the BMW was comfortable and quiet, with plenty of room for 4 people as long as the front seat passenger is short/doesn’t mind having their knees in their chest. It also has a pretty large trunk to add to the plus column, and it does pretty ok on gas for a car of it’s size. But would I own it? Not a chance. This is near the top of the most boring cars I have ever driven. Unlike a Ferarri, Lambo and Jag that I drove during AMVIV. Check back later this week for more on those! Ha, ha, ha… Kinda why I don’t own a MINI any longer. Fat, disconnected. My Abarth may not be sophisticated and it’s a bit unwieldy under full throttle, especially in Sport mode, but at least it keeps you awake. Wife has been looking into a VW Jetta Sportswagen diesel. I disagree about the MINI. I’ve driven them and they don’t feel anything like this. Not a thing. This was not the ultimate driving machine and I think BMW should be embarrassed to even have their badge on this car. The chime at 80mph is adjustable through iDrive. Start stop can be disabled by the dealer if you complain enough. I understand your opinion… Just wanted to point out a few things! Thanks Newdl! This was only a loaner, so I was basing everything on the settings that he had. I’m sure the speed alarm can be disabled, too. My 2012 X3 doesn’t do it (no doubt because I turned it off, or more likely never turned it on). I agree about start/stop though, it’s not quality; I’ll notice it jerk to a restart and sometimes it pulls the steering wheel as it starts up. Plus it’s idea of “still cool enough air” is a joke here in FL – no doubt in AZ too. Thanks Ian! It hasn’t been that hot here, yet. I did notice there was a few times it didn’t stop (>5 minutes after starting) and like to think that if it was 120 out it would stay on. I drove a MINI in Europe with stop start and liked it. I have another car here with the stop start and have come to like it. I like the quiet when the car is stopped. Both cars stop only when the car is in neutral and clutch was disengaged. As soon as the clutch is pressed, the engine restarts. If you don’t want the engine to stop, keep your foot on the clutch. It’s very predictable. 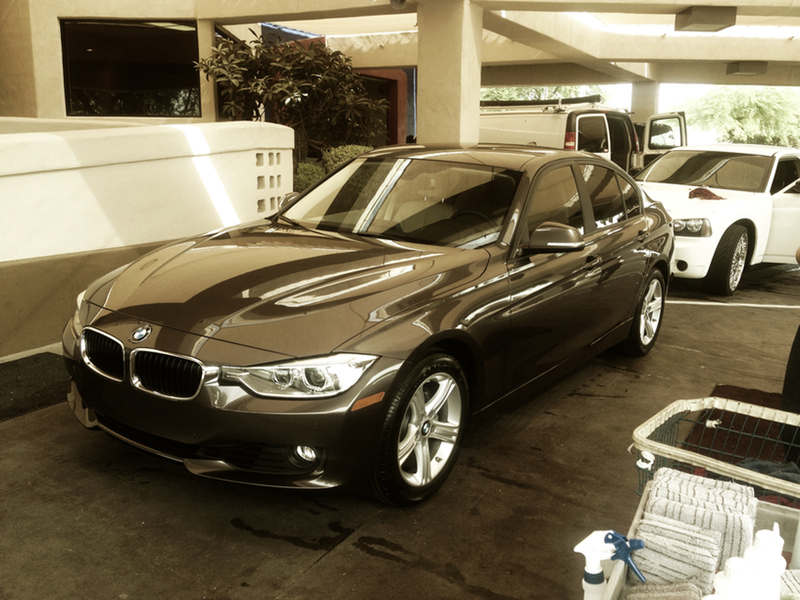 When I drove the new 3 series, it reminded me of the 5 series from 2 generations ago. Not a bad thing but not what I want from a 3 series. Wow! That’s surprising that he did that. 80 is below certain Texas toll road speed limits, so its a good thing the warning can be disabled.